Behavior is a reflection of our own personality. If a certain behavior goes out of proportion, a gentle nudge in the right direction can be helpful. 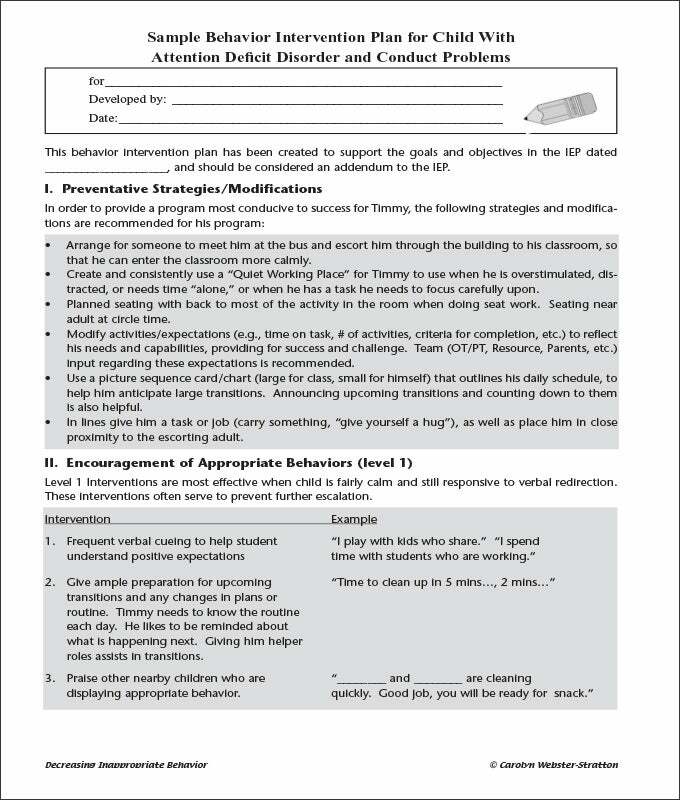 Similarly, if the behavior of a child is not socially good like disrupting the class or Bad behavior towards fellow students, Behavior intervention plan (BIP) can help the child come out of this behavior and imbibe a positive behavior in their life. BIP template is the already identified fields which can be used to work more efficiently. To execute BIP, a lot of time and minute details are needed. A very keen observation is needed to understand about behavior. For example, for the same wrong behavior, two people can have a different reason. And due to the difference in nature, they can be responsive to different intervention technique. A person with friendly and loving nature is needed and the practitioner requires a lot of patience. You can also see High School Lesson Plan Template. 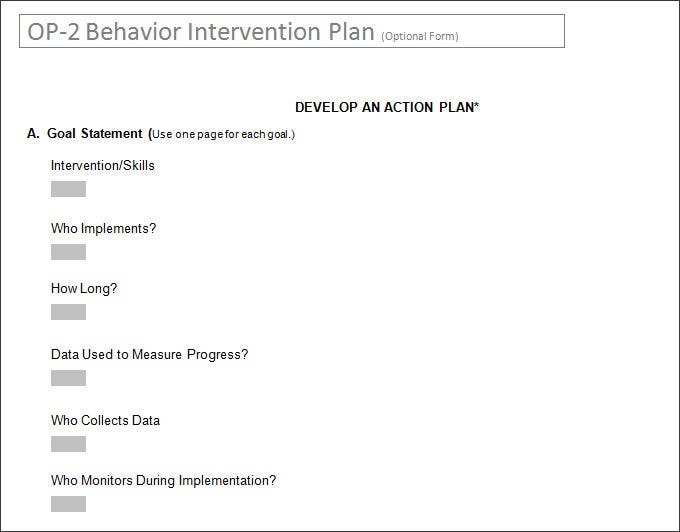 Behavior intervention plan template is a simple strategy which explains how you would like to go about the process. A simple set of fields is included in it like what is target behavior, what is the required behavior, what is the reason behind it. Usually, the behavior of a person comes from an unconscious mind. The functional behavior of the target is analyzed so as to understand what the cause of a particular behavior is. After that, an alternate behavior as a replacement behavior is proposed. Some children are very responsive to the rewards. If you ensure some rewards for their good behavior they would be inclined towards it for the sake of the reward. After a certain period of time, behavior becomes part of their life. For example, Child can be rewarded every time they are spending time with books or child can be rewarded every time they help their peers. The reward can be in terms of appreciation and encouragement. Every child is unique. Everyone has their own level of acceptance towards change. It is possible for some students to accept the change right away but for some, greater intervention might be needed. So BIP template can be created at different levels. For example, level 1 can be a simple encouragement for the alternative behavior. If a child does not respond to that, more timely intervention with greater details at every step may be required. If the child still does not respond, deeper aspect of their personality can be analyzed to see why they are not accepting the change. Exploring the inner nature of one can be helpful to propose the appropriate solution for that child. Meeting the parents can be helpful in case of extreme situations. The child should realize it is done for their help. The atmosphere should not be suffocating. A friendly environment is very important. If one technique is not working, try changing the technique instead of enforcing the same. It should not be too instructive. It takes a lot of time for somebody to change them. Don’t be in any kind of hurry. BIP template is an effective way to carry out the process more efficiently. These templates are created by the experts who have already gone through the process. A lot of effort, time and paperwork can be saved by using these blank BIP templates. Moreover, if a new person comes, it is easier to train them with templates. 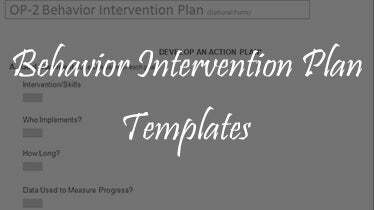 We offer free behavior intervention plan template online. All the templates are easy to download and print. These templates are easy to implement and created for general purpose however if you have a specific need we can help you with your customized requirements. If you have any DMCA issues on this post, please contact us!